Time for a cookbook review, the second publication by Leticia Schwartz. 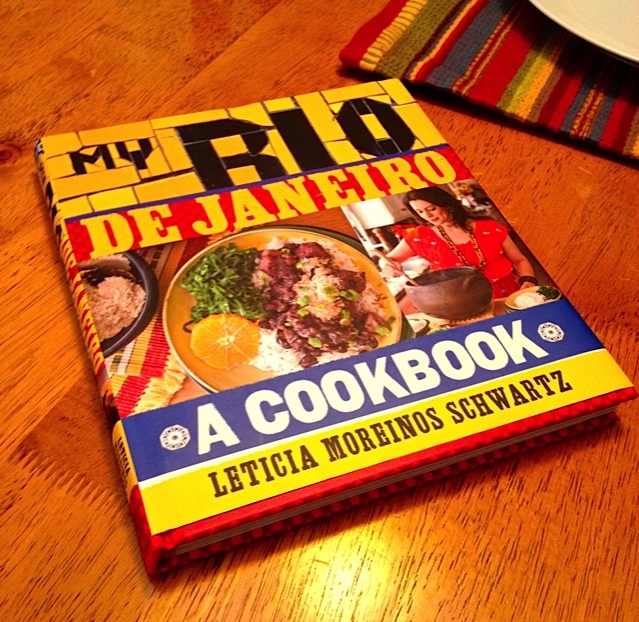 Those who have been around the Bewitching Kitchen long enough might remember I reviewed Leticia’s first cookbook, The Brazilian Kitchen. 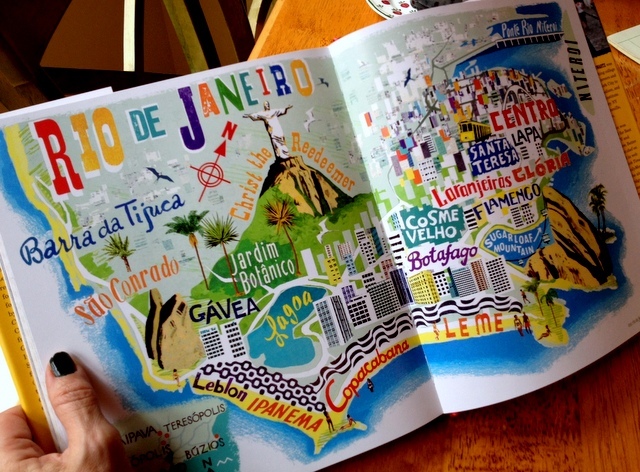 With this new book, she takes her favorite city in Brazil, Rio de Janeiro, and professes her love by showcasing recipes from each different neighborhood. 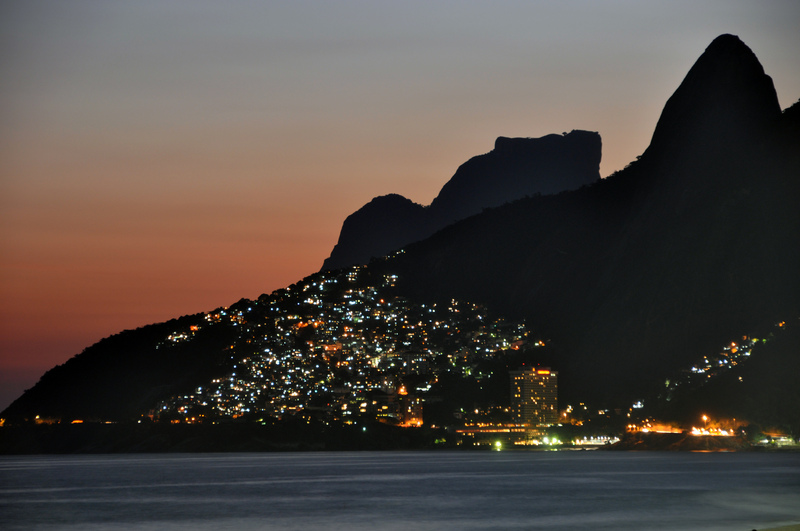 I imagine that only two of them might ring a bell for those who never set foot in Rio: Ipanema and Copacabana. Those are names made famous by Tom Jobim’s song Garota de Ipanema, and by images of beautiful women wearing bikinis that cover the bare minimum of their bodies. But Rio is a lot more than that, a collection of very diverse neighborhoods reflecting the immigrants who shaped them. I had a pretty tough time picking a recipe to share with you, but decided to make her Pasta with Shrimp and Asparagus in Coconut Milk because it is quite unique and brings many of the flavors of Brazilian cooking in a single dish. Steam the asparagus for about 3 minutes, cool them quickly in a bowl of ice-water. Drain well and reserve. Cut in pieces before adding to the sauce. Bring a large amount of salted water to a boil and start cooking the pasta until a little short of al dente. As the pasta cooks, prepare the sauce. Reserve some of the pasta water when you drain it in case you need to thin the sauce at the end. Heat the olive oil in a large, preferably non-stick skillet on medium heat. Season the shrimp with salt and pepper, add to the skillet and saute until they start to turn orange, about 1 minute per side. Remove the shrimp to a plate, tent with foil, and reserve. Add the shallots to the skillet, cook until they start to develop a golden brown color, about 3 minutes. Add the stock and bring to a boil, scraping any brown bits from the bottom of the pan. Add the coconut milk, bring to a gentle boil again, cook until the sauce starts to concentrate, thicken, and reduce to about half the volume (about 3 to 4 minutes). 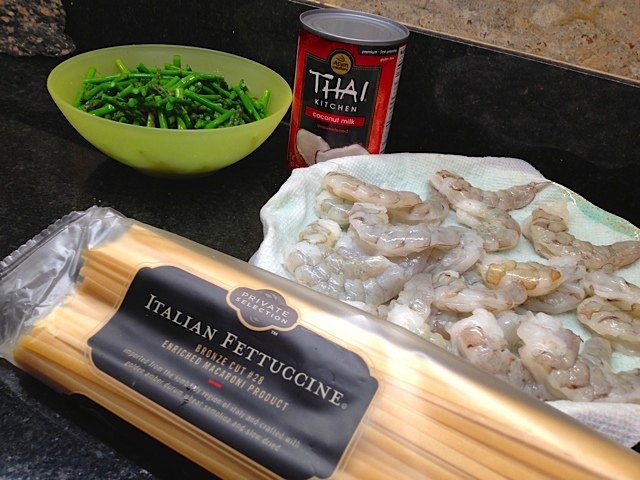 Reduce the heat to low, add the cooked pasta, the reserved shrimp, and asparagus pieces. Toss everything together vigorously, if needed add some of the pasta cooking water, or a little more coconut milk to keep the dish creamy. Adjust seasoning with salt and pepper, stir the cognac, and add chives right before serving. Comments: Making your own shrimp stock is not absolutely essential, you could use chicken stock or even vegetable stock, but it does add an extra something to the sauce. The seafood flavor is obviously intensified. Leticia likes to roast the shrimp shells with a little tomato paste, I just sauteed the shells on olive oil, then added water and simmered them for 20 minutes with some celery, carrots, and onions. Now, let me go through the book, chapter by chapter, so you can have a better idea of what it’s all about. I list just a few recipes from each chapter, as the book contains 90 recipes. I should also mention that even though the chapters are divided according to each neighborhood of the city, in the index the recipes are listed by ingredients, making it very easy to find anything you might be interested in cooking. CHAPTER ONE: LEBLON. In this chapter, Leticia brings the type of food associated with “botequins“. A quote from the book: “A botequim is a simply type of restaurant that came to being in Brazil in the late 1800’s by and for Portuguese immigrants”. The botequim actually reminds me of simple bistrots in Paris, not the fancy ones geared to tourists, but the small, usually a bit dark inside, where folks who live or work in the neighborhood meet for a simple meal, a drink, a coffee. She opens the chapter with Sugar and Lime Cocktail, the Brazilian national drink, “capirinha“. “Botequim” food is usually finger food, a bit like Spanish tapas. You will find Golden Salt Cod Fritters (bolinho de bacalhau), Brazilian-Style Fried Chicken, in which the pieces are cut very small and heavily seasoned with garlic, and the wonderful Brigadeiros, like the ones I had in the blog years ago. 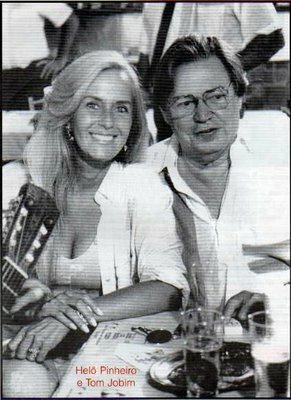 An old photo of Helo Pinheiro (the original Girl from Ipanema) & Tom Jobim. CHAPTER TWO: IPANEMA. The opening part of this chapter is a nice tribute to Farmer’s Market, which are a must-visit in Rio (as well as Sao Paulo, says the “paulista” in me). She describes the hard work associated with getting the market ready, as at 7am every stand is open for business. Grated coconut, coconut milk, fresh coconut pieces, those are ingredients that are part of many traditional Brazilian recipes, and as Leticia points out, no one wants to do that type of job at home, so the street markets have several stands in which people grate coconut the whole day, handing you a bag with the freshest possible product. Absolutely nothing to do with the stuff we get in grocery stores, dried up, often overly sweet. 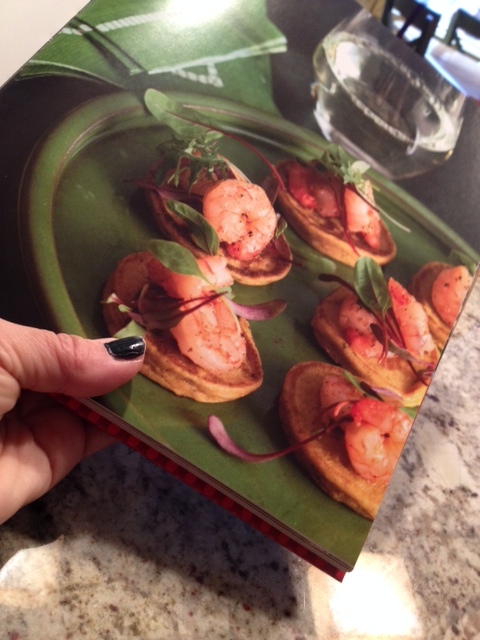 Her first recipe in the chapter is for Yucca Cracker, and that brought me so many memories! I grew up enjoying them, and honestly I had no idea they could be made at home. They are shaped like a bagel, but their taste and texture is absolutely unique. You can see them here. Pao de queijo is in this chapter too, her recipe more traditional than the one I blogged about in the past. Some other recipes in this chapter: Feijoada (Brazilian Black Bean Stew), Duck and Yucca Shepherd’s Pie (be still, my heart!). 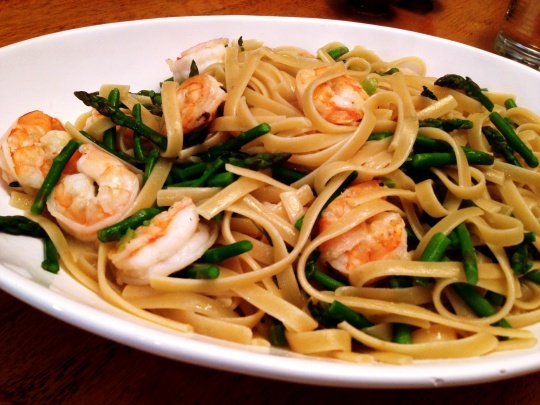 and the recipe I shared with you today, Tagliatelle with Shrimp, Asparagus, and Coconut Milk. CHAPTER FOUR: JARDIM BOTANICO, GÁVEA E LAGOA. A quote: “Cariocas are obsessed with exercise and Lagoa Rodrigo de Freitas (a lagoon) is one of the most beautiful places in town to go jogging. … exercising in that setting it’s as if your endorphins double from the visual effects of Rio, and the result is a sense of pure happiness, elation and peacefulness…” Some recipes from the chapter include Rolled Sausage Bread with Rosemary (a concoction from the very famous Pizzaria Braz), Chez Anne’s Cheese Empanadas, Brazilian-Style Veal Stroganof, and Cashew Fruit Ice Cream (trust me, this is to die for!). CHAPTER FIVE: FLAMENGO & BOTAFOGO. 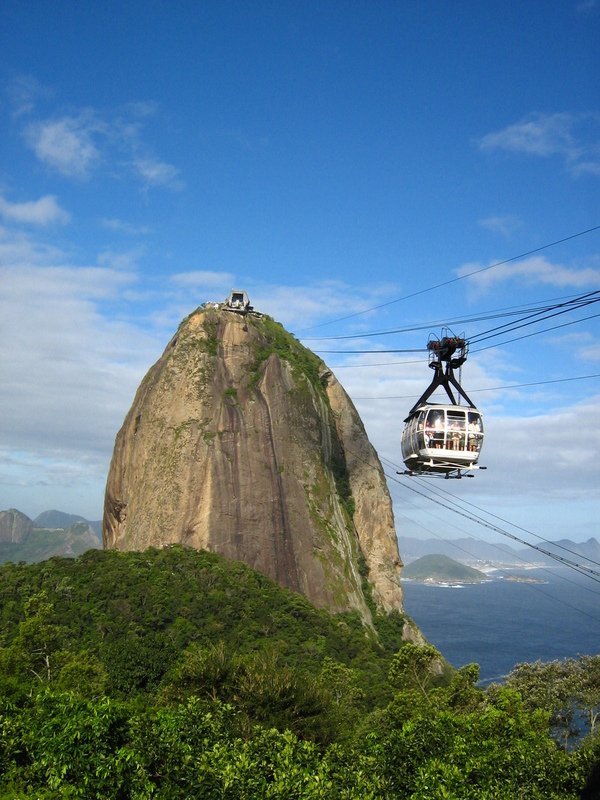 The famous Sugar Loaf is located in this part of town. Leticia featured in this chapter some recipes from trendy restaurants like Nomangue and Irajá. I was quite tempted to prepare the Hearts of Palm Soup, so soothing and creamy, but the Molten Brigadeiro Cake (which Leticia likes to serve with ginger ice cream) was also calling my name. Real loud. CHAPTER SIX: SANTA TERESA, GLÓRIA, LARANJEIRAS & COSME VELHO: Dining with a view. 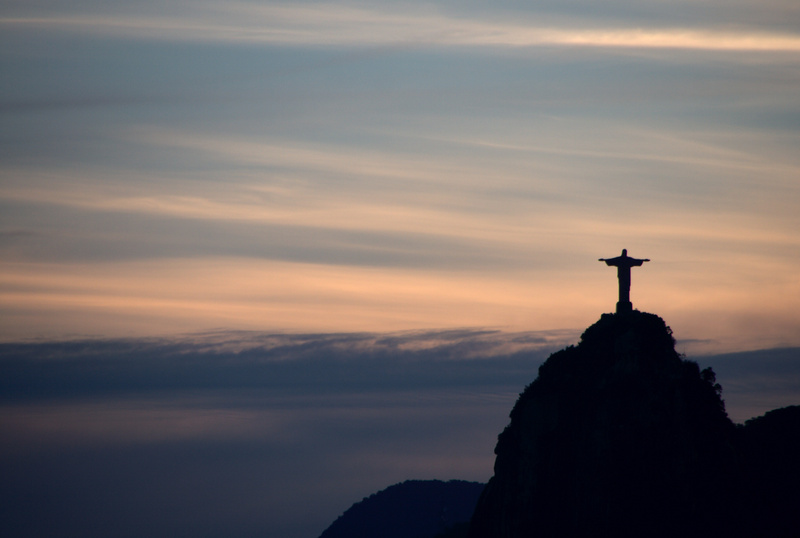 Perhaps the most famous landmark of Rio, Christ the Redeemer, is located in this neighborhood. Leticia recommends two restaurant in the region, Aprazível, and a botequim-type place called Bar do Mineiro. By the way, clicking on the link to Aprazivel will bring up a beautiful Brazilian song, worth listening to. She features not only recipes from these places, but also some from caterers that often come up with incredible twists on classics. A few examples: Plum Tomato and Bread Soup, Rita’s Fried Zucchini, Chicken and Chorizo over Jasmine Rice (the famous Galinhada), and Passion Fruit Mousse. CHAPTER SEVEN: CENTRO, LAPA E ARREDORES. 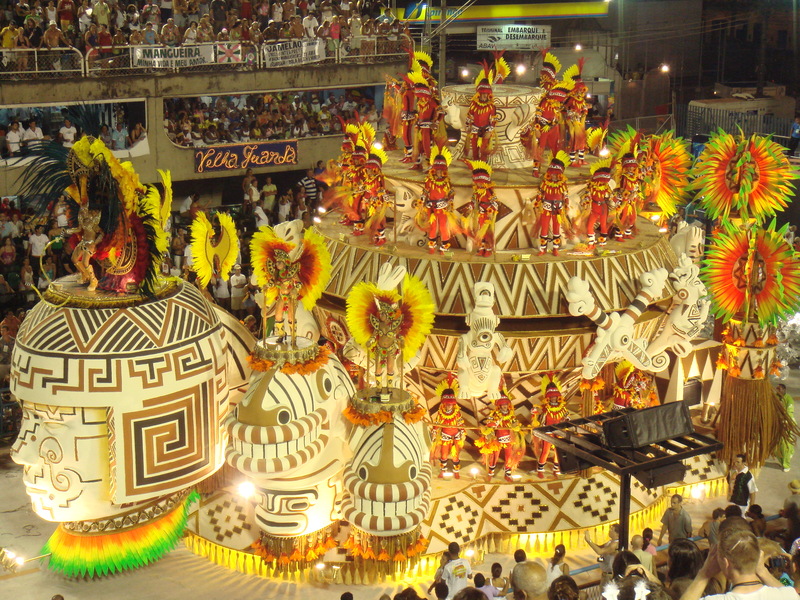 This is the neighborhood associated with samba and Carnival, where the “Sambódromo” is located, and the huge avenue where the samba schools parade for days, Avenida Marques de Sapucaí”. Lots of great recipes in this chapter, like Feijoada Fritters with Collard Greens (a take on feijoada from the restaurant Aconchego Carioca), Slow-Roasted Pork Ribs with Guava Sauce, Polenta Turnovers (what a great culinary move! ), and Tapioca Pudding with Coconut Caramel Sauce. 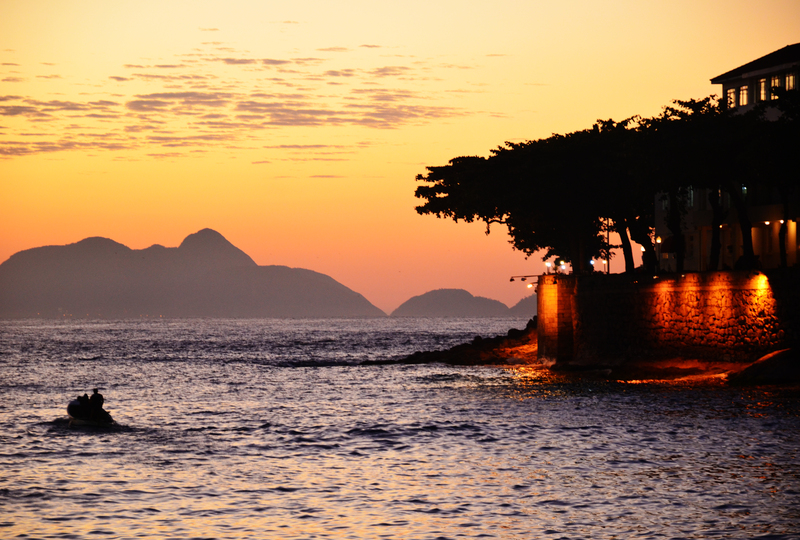 CHAPTER EIGHT: BARRA DA TIJUCA. Well, that is a part of Rio very dear to my heart. My Mom and my sisters were born and raised in that neighborhood, and so was Leticia! Quote from the book: “To enter Barra, you have to drive through Rocinha, the largest favela of Brazil. Leticia grew up just a few minutes away, but never connected with this world – so close but yet so far away”. That is one interesting aspect of Rio, and quite disturbing for foreigners, how close the opposites of society co-exist in town. A common denominator, though, is food. Some examples of recipes featured in this chapter are Yucca Fries (the best food in the known universe, if you ask me), Chicken Salad with Carrots and Chives on Whole Wheat (very famous sandwich sold at every beach in Rio, by vendors who scream as they pass by “Look, it’s the Natural Sandwich!”, Fresh Cod with Onions, Potatoes, and Broccolini, and the absolutely delicious Pulled Carne Seca with Butternut Squash Puree. CHAPTER NINE: BÚZIOS. Búzios is supposed to be a paradise on Earth. I have never been there, believe it or not, but one day I dream of spending a few days with Phil. 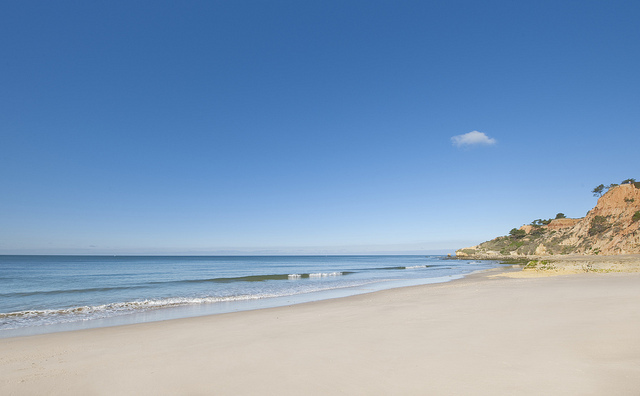 It is a beach town, three hours drive from Rio. Enjoying seafood is a must. How about Farfalle with Salmon and Caipirinha Sauce? Tuna Sandwich? 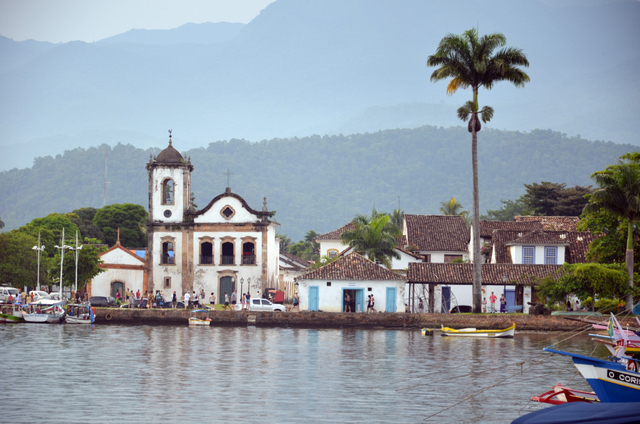 CHAPTER TEN: PARATY. Now, THAT is a paradise I visited with Phil and a couple of great friends years ago. We had a fantastic time, and also got one of the worst sunburns in the history of our lives… 🙂 Paraty is more or less halfway through Rio and São Paulo, and it is a historic city, full of churches from the Gold Era of Brazil, and also fantastic restaurants and hotels. Leticia opens the chapter with a drink, Coconut Cocktail, which I find as delicious or better than capirinha… Also in this chapter you can drool over her Roasted Garlic-Ginger Shrimp with Coconut and Fresh Herb Crumbs (the picture is enough to make me swoon). CHAPTER ELEVEN: REGIÃO SERRANA. In this chapter, Leticia focuses on a town called Teresópolis, located in hills not too far from Rio de Janeiro. I would love to make her Spinach Crepes with Fresh Tomato Sauce (Brazilian crepes, called “panquecas”, are not the same as the French concoction), the Brazilian Tiramisu, or the Dulce de Leche Brioche Pudding (I gained a pound typing it, though). CHAPTER TWELVE: HOME COOKING. In my opinion, no better way to close a cookbook. She features recipes from her family, and surprisingly starts the chapter with her Aunt Sarita’s Moroccan Meatballs. It turns out her Aunt was born in Tangier, so you won’t be able to get more Middle Eastern than that… One of the recipes in this chapter gave me a huge smile because it was part of my childhood, teenage years, and adulthood too: Ground Beef with Hard-Boiled Eggs and Olives. That is simple, home cooking to the fullest, and I find myself making batches and batches to enjoy for lunch. Also in this chapter, Baked Rice with Chicken and Chorizo (Arroz de Forno, each family in Brazil seems to have a version for it), Brazilian Style Pot Roast, White Chocolate Mousse with Passion Fruit Gelee, and Brazilian Rice Pudding.